Whistleblowers are employees who take a stand and report unlawful or illegal behavior in the workplace. These brave employees risk their jobs and wages to do the right thing and call out or testify to abuse, misconduct, and other wrongdoing. In certain unfortunate cases, employers have tried to silence whistleblowers through discrimination, threats, and even wrongful termination. That is why the Commonwealth of Virginia established a series of legal protections for whistleblowers, ensuring a clear pathway for the reporting of allegedly unlawful or illegal conduct. 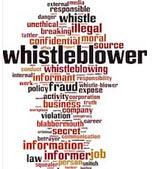 Under Code of Virginia Section 2.2-3010, the term whistleblower refers to an employee who witnesses or has credible evidence of wrongdoing, misconduct, or abuse. Furthermore, a whistleblower must report — or at least attempt to report — the alleged wrongdoing to their employer or an appropriate authority. Under Code of Virginia Section 2.2-3011, whistleblowers must act in good faith to benefit from legal protection. Stated otherwise, a whistleblower must have a reasonable belief that their evidence of suspected misconduct is credible and accurate. If an employee discloses information that they knew — or should have known — was inaccurate or protected, they are ineligible for whistleblower protections. Notwithstanding the legal protections outlined above, employers are free to discipline or discharge any employee — including whistleblowers — for their own wrongdoing, misconduct, or abuse. Compensate the employee for reasonable legal costs and attorney fees. Before filing a lawsuit against their employer, however, there is an additional requirement. The whistleblower must demonstrate that they tried to solve the issue internally with their employer. Once the whistleblower exhausts all internal remedies, they have three years to file a lawsuit against their employer for a violation of Section 2.2-3011. If you have legal questions about whistleblower protections in Virginia, it is wise to reach out to an established employment attorney. The Virginia whistleblower attorneys at Simms Showers LLP, servicing Leesburg, Winchester, Fairfax, and Manassas, understand the nuances of employment law in Virginia, including but not limited to whistleblower protections. If you need legal help in this arena, contact us today for an initial consultation.